A lot of peeps, (myself included), LOVE to play dress-up during winter. Boots are sky high, cute pea coats abound and layering takes center stage. Winter dressing - it's a good thing. Sub-zero temps are no excuse to throw in the towel on style! In fact, winter is the best time to experiment with funky trends and daring new looks. Velvet. Preferably in the Form of This Boot. 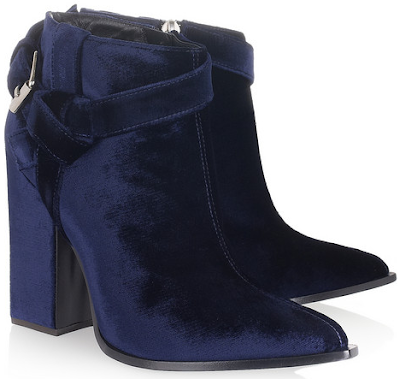 Thank you, Thakoon, for these glorious navy blue ankle boots. Pull on a pair of leather leggings or dark skinny jeans, combine with an oversize sweater and you've got yourself quite an outfit. Cardigan in an Eye-Catching Color. I'll take this one from ASOS in what could be the most perfect shade of teal in the history of cardigans. I'm all about fur this season. 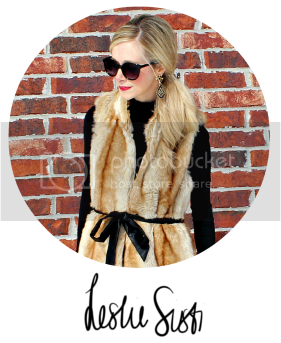 So when I saw this faux-fur snood online, I knew it needed to be around my neck. This Ponte Fit and Flare dress from ASOS is perfection. I'm envisioning it with a pair of leopard print kitten heels and a cream white pea coat for a dressy Sunday look. And Vicki B. owns it. If it's good enough for Posh, it's good enough for moi. 1. 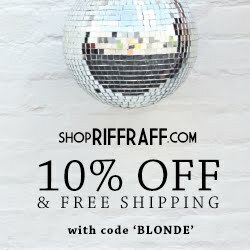 Maude is having a sweet little contest where they are giving away a $50 Gift Card to one FB fan. 'Like' them now and be entered to win! 2. I redesigned my About page. All. By. Myself. I'm no pro, but I'm pretty pleased with how it turned out. MUST have that pink dress! So gorgeous, I think I can justify purchasing it within my budget, right?!!? RIGHT!?!?! I'm not 100% sure if I could wear the fauxfur, I think it looks fab on other ladies, not sure if it's my trend to follow though. Love the new *About Me* page, you did a fabulous job :)! Ohhmygoodness I love that first shot of Blair on Gossip Girl! such a cute outfit! That first picture looks so cute! I love the whole outfit! Especially the pea coat! And the bright fuschia pink dress so pretty! I seriously want to get that! That pink dress is gorgeous! I love dressing up in the winter. We don't have much snow this year either, so boots/heels are possible as well. A lot of the time I have to wear flats because we have so much ice! I'm pretty sure that any shot of Blair Waldorf is an outfit I'm gonna love.. Also love that fit & flare dress, what a cute outfit that would make! ah blair walkdorf. shes so fabulous i cant stand it. I love bringing out cute outfits and pops of color in the winter, it chases away the winter blahss! I need that bright pink dress in my life!!! Love that ASOS dress! It's like the perfect dress up/dress down outfit! Love these styles so much ! Especailly the Asos dress! I was watching re runs of gossip girl last night and was admiring blair's perfect style! you're about page is so cute! you and stephen look adorable. if i may ask, what program did you use to make your picture collage? I have that exact faux fur snood and I love it!! Love that fit & flare dress!! These are so freaking cute and I am such a scardey puss to try out these styles. I am just like victoria my closet is Black, White, and Gray....I need color but i get ooh so scared!!! If you can do it and i see a pic maybe i will venture out there and get some pink...or teal. Love the fun colors! I also love the cold weather because it opens up more outfit possibilities for layering! 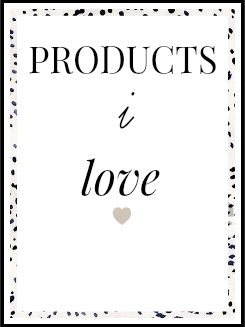 Love your new About page - so creative. Have to admit I'm a lover of winter because of tights and boots! love the bright green peacoat. love love love..